Numerous farm, lawn, and garden and industrial applications. 2-1/4 usable inches, zinc-plated. Numerous farm, lawn, and garden and industrial applications. Forged fasteners for numerous farm and other applications. 3 pins. Black powder coat finish. Numerous farm, lawn, and garden and industrial applications. 2-1/4 usable inches, zinc-plated. Baron Double End Swivel, Strap Eye, 3/4 in Eye, Zinc Plated Designed for quick, safe, secure fastening for a variety of jobs in poured concrete, brick, cinder block/masonry. Provides self-threading action/maximum holding power for fastening conduit clips; junction boxes; wall partitions/insulation; window/door frames; gutters/roof flashing; shelving; cabinets; furring strips; expansion joints; stud track; duck strap; joist hangers/signs. Designed for quick, safe, secure fastening for a variety of jobs in poured concrete, brick, cinder block/masonry. Provides self-threading action/maximum holding power for fastening conduit clips; junction boxes; wall partitions/insulation; window/door frames; gutters/roof flashing; shelving; cabinets; furring strips; expansion joints; stud track; duck strap; joist hangers/signs. Forged carbon steel for maximum strength. Zinc plated to resist rust. Spring steel snap ring. 2-1/8'' long with chain and cotter. Forged carbon steel for maximum strength. Spring steel snap rings. Zinc plated to resist rust. Cold forged from carbon steels. Bright zinc plated to resist corrosion. 7/8" Pin diameter, 5/8" Thread diameter. Replaces Ford 230044 and MF 181777M1. 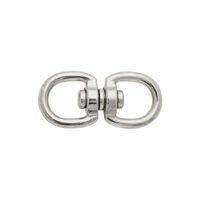 Baron Double End Swivel, Round Eye, 3/4 in Eye X 2-3/4 in Overall Length, Iron, Nickel Plated Numerous farm, lawn, and garden and industrial applications. Kit contains clevis, pin and cotter.180/330MI. Fits/replaces all Ford models thru 1964, 9N582 and MF20, 30, 35, 40 and 50. Numerous farm, lawn, and garden and industrial applications. 2-1/4 usable inches, zinc-plated. Designed for quick, safe, secure fastening for a variety of jobs in poured concrete, brick, cinder block/masonry. Provides self-threading action/maximum holding power for fastening conduit clips; junction boxes; wall partitions/insulation; window/door frames; gutters/roof flashing; shelving; cabinets; furring strips; expansion joints; stud track; duck strap; joist hangers/signs. Designed for maximum holding power. Made of high grade steel with special corrosion resistant coating. Bonus: Drill bit included in 10 piece packs. ACQ compatible. Includes pin and spring. Zinc plated. Forged carbon steel for maximum strength. Spring steel snap rings. Zinc plated to resist rust. 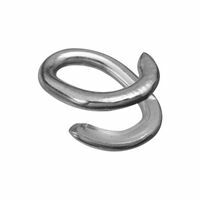 National Hardware Swivel, Round Eye Snap, Series: 3135BC, 5/8 X 5/8 in, Zinc Die Cast, Nickel Plated, 105 lb Load Capacity, For Connecting Rope or Chain High carbon steel, zinc plated for rust resistance. Complete with two hex nuts and lock washer. Forged carbon steel for maximum strength. Spring steel snap rings. Zinc plated to resist rust. Fits all racket jacks and most hydraulic cylinders. Kit contains one pin and two clips. Machined form carbon steel. Zinc plated to resist rust. Designed for maximum holding power. Made of high grade steel with special corrosion resistant coating. Bonus: Drill bit included in 10 piece packs. ACQ compatible. Designed for quick, safe, secure fastening for a variety of jobs in poured concrete, brick, cinder block/masonry. Provides self-threading action/maximum holding power for fastening conduit clips; junction boxes; wall partitions/insulation; window/door frames; gutters/roof flashing; shelving; cabinets; furring strips; expansion joints; stud track; duck strap; joist hangers/signs. Forged fasteners for numerous farm and other applications. 3 pins. Black powder coat finish. Forged from high carbon steel for maximum performance. Zinc plated for rust resistance. 7/8" Pin diameter, 7/8" Thread diameter. Designed for quick, safe, secure fastening for a variety of jobs in poured concrete, brick, cinder block/masonry. Provides self-threading action/maximum holding power for fastening conduit clips; junction boxes; wall partitions/insulation; window/door frames; gutters/roof flashing; shelving; cabinets; furring strips; expansion joints; stud track; duck strap; joist hangers/signs. Baron Double End Swivel, Round Eye, 5/8 in Eye X 2-3/8 in Overall Length, Nickel Plated Forged carbon steel for maximum strength. Spring steel snap rings. Zinc plated to resist rust. 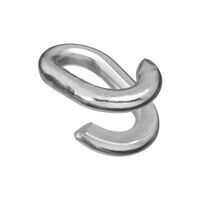 National Hardware Swivel Loop Eye, Series: N222, Suitable For Use With: Connecting Rope or Chain, 1 x 1 in, Zinc Die Cast, Nickel, 55 lb Load Capacity Numerous farm, lawn, and garden and industrial applications. High carbon steel zinc plated for rust resistance. Complete with two hex nuts and lock washer. Designed for quick, safe, secure fastening for a variety of jobs in poured concrete, brick, cinder block/masonry. Provides self-threading action/maximum holding power for fastening conduit clips; junction boxes; wall partitions/insulation; window/door frames; gutters/roof flashing; shelving; cabinets; furring strips; expansion joints; stud track; duck strap; joist hangers/signs. Used to connect two pieces of chain - or chain to eyelet, snap, ring, etc. Designed for maximum holding power. Made of high grade steel with special corrosion resistant coating. Bonus: Drill bit included in 10 piece packs. ACQ compatible. Designed for quick, safe, secure fastening for a variety of jobs in poured concrete, brick, cinder block/masonry. Provides self-threading action/maximum holding power for fastening conduit clips; junction boxes; wall partitions/insulation; window/door frames; gutters/roof flashing; shelving; cabinets; furring strips; expansion joints; stud track; duck strap; joist hangers/signs. Designed for maximum holding power. Made of high grade steel with special corrosion resistant coating. Bonus: Drill bit included in 10 piece packs. ACQ compatible. Forged from high carbon steel for maximum performance. Zinc plated for rust resistance. For use with Proof Coil or High Test Chain. WARNING: DO NOT EXCEED the working load limits for chain or components. DO NOT USE for overhead lifting or hoisting. DO NOT USE if the chain or components are visibly distorted or worn. No. T5423300 For chain 1/4" x 5/16"; Opening = 7/16 Pin = 3/8". No. 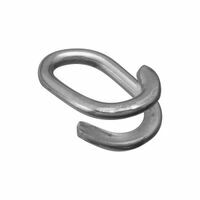 T5423301 For chain 3/8"; Opening = 1/2" Pin = 7/16" High carbon steel, zinc plated for rust resistance. Complete with two hex nuts and lock washer. Machined form carbon steel. Zinc plated to resist rust. Secure attachment to concrete, block and brick. One piece design requires no assembly, does not require anchor torque-down, cracked and seismic approved. Blue ClimaSeal adds corrosion resistance. ANSI drill bit required. Designed for maximum holding power. Made of high grade steel with special corrosion resistant coating. Bonus: Drill bit included in 10 piece packs. ACQ compatible. Secure attachment to concrete, block and brick. One piece design requires no assembly, does not require anchor torque-down, cracked and seismic approved. Blue ClimaSeal adds corrosion resistance. ANSI drill bit required. Designed to eliminate tangling of chain and rope. Manufactured from forged steel. Not designed for over-head lifting. Secure attachment to concrete, block and brick. One piece design requires no assembly, does not require anchor torque-down, cracked and seismic approved. Blue ClimaSeal adds corrosion resistance. ANSI drill bit required. Forged from high carbon steel for maximum performance. Zinc plated to resist rust. Designed for maximum holding power. Made of high grade steel with special corrosion resistant coating. Bonus: Drill bit included in 10 piece packs. ACQ compatible. High carbon steel zinc plated for rust resistance. Complete with two hex nuts and heavy duty lock washer. Designed to eliminate tangling of chain and rope. Manufactured from forged steel. Not designed for over-head lifting. Designed for making quick connections with two chains in industrial and construction applications. Meets Grade 70 specifications. Removable clevis is for easier rigging. Manufactured from forged steel. Not designed for over-head lifting. For connections of chain and attachments (Not for overhead lifting). WARNING: DO NOT exceed working load limit. Designed for making quick connections with two chains in industrial and construction applications. Meets Grade 70 specifications. Removable clevis is for easier rigging. Manufactured from forged steel. Not designed for over-head lifting. Drop forged - heat treated carbon steel. Clevis pin is carbon steel - heat treated, cotter key is mild steel. Designed for joining together links of Grade 30 (proof coil) and Grade 43 (high test) chain without welding or peening. High grade steel, corrosion resistant, high and low thread for ease of installation and maximum holding power. ACQ compatible. Secure attachment to concrete, block and brick. One piece design requires no assembly, does not require anchor torque-down, cracked and seismic approved. Blue ClimaSeal adds corrosion resistance. ANSI drill bit required. Yellow zinc dichromate plated spring wire. Use For: Farm and Other Applications. National Hardware Clevis Link, Double, Series: 3248BC, Suitable For Use With: Chain of an Equal or Lower Grade, 3/8 in, Forged Steel, Zinc Plated, 5400 lb Load Capacity, Grade 43 Specifications, For Making Quick Connections With Two Chains in Industrial and Construction Applications Designed for maximum holding power. Made of high grade steel with special corrosion resistant coating. Socket drive and drill bit are included as a bonus in all packs of 25 and 100 pieces. Forged from high carbon steel for maximum performance. Zinc plated for rust resistance. Designed to eliminate tangling of chain and rope. Manufactured from forged steel. Not designed for over-head lifting. Hardened steel, diamond point. Designed for quick, secure fastening for a variety of jobs in poured concrete, brick and cinder block/masonry. Diamond point provides self-threading, maximum holding power for fastening conduit clips, furring strips, junction boxes, expansion joints, wall partitions/insulation, stud track, window/door frames, duct strap, gutters, joist hangers, shelves, signs and cabinets. High grade steel, corrosion resistant, high and low thread for ease of installation and maximum holding power. ACQ compatible. Hardened steel, diamond point. Designed for quick, secure fastening for a variety of jobs in poured concrete, brick and cinder block/masonry. Diamond point provides self-threading, maximum holding power for fastening conduit clips, furring strips, junction boxes, expansion joints, wall partitions/insulation, stud track, window/door frames, duct strap, gutters, joist hangers, shelves, signs and cabinets. Hardened steel, diamond point. Designed for quick, secure fastening for a variety of jobs in poured concrete, brick and cinder block/masonry. Diamond point provides self-threading, maximum holding power for fastening conduit clips, furring strips, junction boxes, expansion joints, wall partitions/insulation, stud track, window/door frames, duct strap, gutters, joist hangers, shelves, signs and cabinets. Designed for making quick connections with two chains in industrial and construction applications. Meets Grade 70 specifications. Removable clevis is for easier rigging. Manufactured from forged steel. Not designed for over-head lifting. For use with Proof Coil or High Test Chain. WARNING: DO NOT EXCEED the working load limits for chain or components. DO NOT USE for overhead lifting or hoisting. DO NOT USE if the chain or components are visibly distorted or worn. No. T5423300 For chain 1/4" x 5/16"; Opening = 7/16 Pin = 3/8". No. T5423301 For chain 3/8"; Opening = 1/2" Pin = 7/16" High carbon steel zinc plated for rust resistance. Complete with two hex nuts and heavy duty lock washer. Secure attachment to concrete, block and brick. One piece design requires no assembly, does not require anchor torque-down, cracked and seismic approved. Blue ClimaSeal adds corrosion resistance. ANSI drill bit required. Hardened steel, diamond point. Designed for quick, secure fastening for a variety of jobs in poured concrete, brick and cinder block/masonry. Diamond point provides self-threading, maximum holding power for fastening conduit clips, furring strips, junction boxes, expansion joints, wall partitions/insulation, stud track, window/door frames, duct strap, gutters, joist hangers, shelves, signs and cabinets. Machined form carbon steel. Zinc plated to resist rust. Midwest Split Lock Washer, Medium, 1/4 in Nominal, Zinc Plated Midwest Split Lock Washer, Medium, 3/16 in Nominal, Zinc Plated Hardened steel, diamond point. Designed for quick, secure fastening for a variety of jobs in poured concrete, brick and cinder block/masonry. Diamond point provides self-threading, maximum holding power for fastening conduit clips, furring strips, junction boxes, expansion joints, wall partitions/insulation, stud track, window/door frames, duct strap, gutters, joist hangers, shelves, signs and cabinets. Yellow zinc dichromate plated spring wire. Use For: Farm and Other Applications. Designed for maximum holding power. Made of high grade steel with special corrosion resistant coating. Socket drive and drill bit are included as a bonus in all packs of 25 and 100 pieces. Forged steel construction. Swivel feature allows for less tangling or kinking of the chain for the easy repair of c hain or for joining attachments. Hardened steel, diamond point. Designed for quick, secure fastening for a variety of jobs in poured concrete, brick and cinder block/masonry. Diamond point provides self-threading, maximum holding power for fastening conduit clips, furring strips, junction boxes, expansion joints, wall partitions/insulation, stud track, window/door frames, duct strap, gutters, joist hangers, shelves, signs and cabinets. Designed to eliminate tangling of chain and rope. Manufactured from forged steel. Not designed for over-head lifting. Designed for making quick connections with two chains in industrial and construction applications. Meets Grade 70 specifications. Removable clevis is for easier rigging. Manufactured from forged steel. Not designed for over-head lifting. For connections of chain and attachments (Not for overhead lifting). WARNING: DO NOT exceed working load limit. Midwest Flat Washer, USS, NO 10 Nominal, Stainless Steel, Grade: 18-8 Precisely manufactured from high tensile strength spring wire steel for superior holding power. Attractive bright zinc plating fights corrosion. 3/8'' Wire diameter. Forged steel construction. 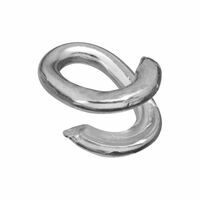 Swivel feature allows for less tangling or kinking of the chain for the easy repair of c hain or for joining attachments. Forged steel; finish is Zinc Plated. For use with Proof Coil or High Test chain. Yellow zinc dichromate plated spring wire. Use For: Farm and Other Applications. Designed for making quick connections with two chains in industrial and construction applications. Meets Grade 70 specifications. Removable clevis is for easier rigging. Manufactured from forged steel. Not designed for over-head lifting. Midwest Flat Washer, USS, 1/4 in Nominal, Stainless Steel, Grade: 18-8 Designed for maximum holding power. Made of high grade steel with special corrosion resistant coating. Socket drive and drill bit are included as a bonus in all packs of 25 and 100 pieces. Machined forged from D.O.M. solid steel tubing. Zinc plated to resist rust. No.03010 is crossdrilled to match link pin. Designed to eliminate tangling of chain and rope. Manufactured from forged steel. Not designed for over-head lifting. Yellow zinc dichromate plated spring wire. Use For: Farm and Other Applications. Fast installation. Replaces small diameter expansion anchors, plugs and screws in light to medium duty applications. No need to pre-spot hole. No inserts are required. Reversible and removable. Can be installed close to an edge. Thread design results in increased pullout values and lower installation torque. 'Climaseal' coating provides extra corrosion resistance. Applications: Electrical junction boxes, conduit clips, HVAC strapping, 2 x 4 lumber, wood headers, furring strips, hurricane shutters,window frames, jambs and sills, door frames to masonry, plywood backer boards to masonry, exterior insulation to masonry. Machined forged from D.O.M. solid steel tubing. Zinc plated to resist rust. Designed for making quick connections with two chains in industrial and construction applications. Meets Grade 70 specifications. Removable clevis is for easier rigging. Manufactured from forged steel. Not designed for over-head lifting. High grade steel, corrosion resistant, high and low thread for ease of installation and maximum holding power. ACQ compatible. Secure attachment to concrete, block and brick. One piece design requires no assembly, does not require anchor torque-down, cracked and seismic approved. Blue ClimaSeal adds corrosion resistance. ANSI drill bit required. Designed for maximum holding power. Made of high grade steel with special corrosion resistant coating. Socket drive and drill bit are included as a bonus in all packs of 25 and 100 pieces. Midwest Flat Washer, USS, 5/16 in Nominal, Stainless Steel, Grade: 18-8 Secure attachment to concrete, block and brick. One piece design requires no assembly, does not require anchor torque-down, cracked and seismic approved. Blue ClimaSeal adds corrosion resistance. ANSI drill bit required. Fast installation. Replaces small diameter expansion anchors, plugs and screws in light to medium duty applications. No need to pre-spot hole. No inserts are required. Reversible and removable. Can be installed close to an edge. Thread design results in increased pullout values and lower installation torque. 'Climaseal' coating provides extra corrosion resistance. Applications: Electrical junction boxes, conduit clips, HVAC strapping, 2 x 4 lumber, wood headers, furring strips, hurricane shutters,window frames, jambs and sills, door frames to masonry, plywood backer boards to masonry, exterior insulation to masonry. Designed for maximum holding power. Made of high grade steel with special corrosion resistant coating. Socket drive and drill bit are included as a bonus in all packs of 25 and 100 pieces. Designed for maximum holding power. Made of high grade steel with special corrosion resistant coating. Socket drive and drill bit are included as a bonus in all packs of 25 and 100 pieces. Yellow zinc dichromate plated spring wire. Use For: Farm and Other Applications. Midwest Flat Washer, USS, 1/2 in Nominal, Stainless Steel, Grade: 18-8 Yellow zinc dichromate plated spring wire. Use For: Farm and Other Applications. Fits all tractor drawbars, old or new, front or back, to and including 1-5/8" thick. Use with chain sizes 5/16" to 1/2" including Grade 43 high test chain. Midwest Fender Washer, 3/16 in Nominal, 1 in Outside Diameter, Zinc Plated Midwest Fender Washer, 1/4 in Nominal, 1 in Outside Diameter, Zinc Plated Fast installation. Replaces small diameter expansion anchors, plugs and screws in light to medium duty applications. No need to pre-spot hole. No inserts are required. Reversible and removable. Can be installed close to an edge. Thread design results in increased pullout values and lower installation torque. 'Climaseal' coating provides extra corrosion resistance. Applications: Electrical junction boxes, conduit clips, HVAC strapping, 2 x 4 lumber, wood headers, furring strips, hurricane shutters,window frames, jambs and sills, door frames to masonry, plywood backer boards to masonry, exterior insulation to masonry. Forged steel construction. Swivel feature allows for less tangling or kinking of the chain for the easy repair of c hain or for joining attachments. Designed for maximum holding power. Made of high grade steel with special corrosion resistant coating. Socket drive and drill bit are included as a bonus in all packs of 25 and 100 pieces. Designed for maximum holding power. Made of high grade steel with special corrosion resistant coating. Socket drive and drill bit are included as a bonus in all packs of 25 and 100 pieces. Dimensions: No. 01338: A = 2-3/4'', B = 7/8'', C = 2-3/8'', D = 5/8'', E = 1-3/8'', F = 2-5/8''. No. 01342: A = 3-1/8'', B = 1-1/8'', C = 2-3/4, D = 3/4'', E = 1-3/4'', F = 3-1/8''. Designed for maximum holding power. Made of high grade steel with special corrosion resistant coating. Socket drive and drill bit are included as a bonus in all packs of 25 and 100 pieces. Fits all Ferguson, MF 35 & 50, Ford 2N, 8N, 9N, 600 & 800. Fast installation. Replaces small diameter expansion anchors, plugs and screws in light to medium duty applications. No need to pre-spot hole. No inserts are required. Reversible and removable. Can be installed close to an edge. Thread design results in increased pullout values and lower installation torque. 'Climaseal' coating provides extra corrosion resistance. Applications: Electrical junction boxes, conduit clips, HVAC strapping, 2 x 4 lumber, wood headers, furring strips, hurricane shutters,window frames, jambs and sills, door frames to masonry, plywood backer boards to masonry, exterior insulation to masonry. Midwest Flat Washer, USS, 3/8 in Nominal, Stainless Steel, Grade: 18-8 Secure attachment to concrete, block and brick. One piece design requires no assembly, does not require anchor torque-down, cracked and seismic approved. Blue ClimaSeal adds corrosion resistance. ANSI drill bit required. Fast installation. Replaces small diameter expansion anchors, plugs and screws in light to medium duty applications. No need to pre-spot hole. No inserts are required. Reversible and removable. Can be installed close to an edge. Thread design results in increased pullout values and lower installation torque. 'Climaseal' coating provides extra corrosion resistance. Applications: Electrical junction boxes, conduit clips, HVAC strapping, 2 x 4 lumber, wood headers, furring strips, hurricane shutters,window frames, jambs and sills, door frames to masonry, plywood backer boards to masonry, exterior insulation to masonry. Midwest Fender Washer, 1/4 in Nominal, 1-1/4 in Outside Diameter, Zinc Plated Designed for maximum holding power. Made of high grade steel with special corrosion resistant coating. Socket drive and drill bit are included as a bonus in all packs of 25 and 100 pieces. Secure attachment to concrete, block and brick. One piece design requires no assembly, does not require anchor torque-down, cracked and seismic approved. Blue ClimaSeal adds corrosion resistance. ANSI drill bit required. Heavy duty forged. Designed for maximum holding power. Made of high grade steel with special corrosion resistant coating. Socket drive and drill bit are included as a bonus in all packs of 25 and 100 pieces. Fast installation. Replaces small diameter expansion anchors, plugs and screws in light to medium duty applications. No need to pre-spot hole. No inserts are required. Reversible and removable. Can be installed close to an edge. Thread design results in increased pullout values and lower installation torque. 'Climaseal' coating provides extra corrosion resistance. Applications: Electrical junction boxes, conduit clips, HVAC strapping, 2 x 4 lumber, wood headers, furring strips, hurricane shutters,window frames, jambs and sills, door frames to masonry, plywood backer boards to masonry, exterior insulation to masonry. "Y" Type Tenso Pattern. Includes of two "Y" chain/two ceiling hooks. 7-1/2' overall length. No.2/0 leader 5' long; No.1/0 branches 2-1/2' long. Machined forged from D.O.M. solid steel tubing. Zinc plated to resist rust. No.03010 is crossdrilled to match link pin. High grade steel, corrosion resistant, high and low thread for ease of installation and maximum holding power. ACQ compatible. Designed to control the stroke on air or hydraulic cylinders.Fits: 1-1/8", 1-1/4", 1-3/8" and 1-1/2" diameter shafts; aluminum. Segments: 3/4", 1", 1-1/4", 1-1/2". Secure attachment to concrete, block and brick. One piece design requires no assembly, does not require anchor torque-down, cracked and seismic approved. Blue ClimaSeal adds corrosion resistance. ANSI drill bit required. Heavy duty forged. Fast installation. Replaces small diameter expansion anchors, plugs and screws in light to medium duty applications. No need to pre-spot hole. No inserts are required. Reversible and removable. Can be installed close to an edge. Thread design results in increased pullout values and lower installation torque. 'Climaseal' coating provides extra corrosion resistance. Applications: Electrical junction boxes, conduit clips, HVAC strapping, 2 x 4 lumber, wood headers, furring strips, hurricane shutters,window frames, jambs and sills, door frames to masonry, plywood backer boards to masonry, exterior insulation to masonry. Designed for maximum holding power. Made of high grade steel with special corrosion resistant coating. Socket drive and drill bit are included as a bonus in all packs of 25 and 100 pieces. Midwest Fender Washer, 1/4 in Nominal, 1-1/2 in Outside Diameter, Zinc Plated Designed for maximum holding power. Made of high grade steel with special corrosion resistant coating. Socket drive and drill bit are included as a bonus in all packs of 25 and 100 pieces. Secure attachment to concrete, block and brick. One piece design requires no assembly, does not require anchor torque-down, cracked and seismic approved. Blue ClimaSeal adds corrosion resistance. ANSI drill bit required. Fast installation. Replaces small diameter expansion anchors, plugs and screws in light to medium duty applications. No need to pre-spot hole. No inserts are required. Reversible and removable. Can be installed close to an edge. Thread design results in increased pullout values and lower installation torque. 'Climaseal' coating provides extra corrosion resistance. Applications: Electrical junction boxes, conduit clips, HVAC strapping, 2 x 4 lumber, wood headers, furring strips, hurricane shutters,window frames, jambs and sills, door frames to masonry, plywood backer boards to masonry, exterior insulation to masonry. 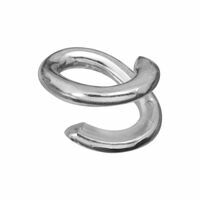 Quality forged top links. All top links are yellow zinc dichromate plated unless otherwise specified. Secure attachment to concrete, block and brick. One piece design requires no assembly, does not require anchor torque-down, cracked and seismic approved. Blue ClimaSeal adds corrosion resistance. ANSI drill bit required. Midwest Fender Washer, 5/16 in Nominal, 1-1/2 in Outside Diameter, Zinc Plated Hardened steel, diamond point. Designed for quick, secure fastening for a variety of jobs in poured concrete, brick and cinder block/masonry. Diamond point provides self-threading, maximum holding power for fastening conduit clips, furring strips, junction boxes, expansion joints, wall partitions/insulation, stud track, window/door frames, duct strap, gutters, joist hangers, shelves, signs and cabinets. Hardened steel, diamond point. Designed for quick, secure fastening for a variety of jobs in poured concrete, brick and cinder block/masonry. Diamond point provides self-threading, maximum holding power for fastening conduit clips, furring strips, junction boxes, expansion joints, wall partitions/insulation, stud track, window/door frames, duct strap, gutters, joist hangers, shelves, signs and cabinets. Hardened steel, diamond point. Designed for quick, secure fastening for a variety of jobs in poured concrete, brick and cinder block/masonry. Diamond point provides self-threading, maximum holding power for fastening conduit clips, furring strips, junction boxes, expansion joints, wall partitions/insulation, stud track, window/door frames, duct strap, gutters, joist hangers, shelves, signs and cabinets. One piece hitch cross drawbar for use on tractors with three point lift. Made of best quality construction high carbon steel and heat treated with 3/4"hole diameter. One piece hitch cross drawbar for use on tractors with three point lift. Made of best quality construction high carbon steel and heat treated with 3/4"hole diameter. Hardened steel, diamond point. Designed for quick, secure fastening for a variety of jobs in poured concrete, brick and cinder block/masonry. Diamond point provides self-threading, maximum holding power for fastening conduit clips, furring strips, junction boxes, expansion joints, wall partitions/insulation, stud track, window/door frames, duct strap, gutters, joist hangers, shelves, signs and cabinets. Midwest Fender Washer, 3/8 in Nominal, 1-1/2 in Outside Diameter, Zinc Plated Heavy duty forged. Heavy duty forged. Secure attachment to concrete, block and brick. One piece design requires no assembly, does not require anchor torque-down, cracked and seismic approved. Blue ClimaSeal adds corrosion resistance. ANSI drill bit required. Designed for maximum holding power. Made of high grade steel with special corrosion resistant coating. Socket drive and drill bit are included as a bonus in all packs of 25 and 100 pieces. Secure attachment to concrete, block and brick. One piece design requires no assembly, does not require anchor torque-down, cracked and seismic approved. Blue ClimaSeal adds corrosion resistance. ANSI drill bit required. Heavy duty forged. Use for drywall to wood studs and all purpose wood fastening. Midwest Fender Washer, 1/2 in Nominal, 2 in Outside Diameter, Zinc Plated Completely interchangeable with most clevis mounted hydraulic cylinders. 1-1/4'' diameter UNC heavy duty thread; 1" Pin diameter. Operator safety assured by a positive stop at the maximum open adjustment. Includes two pins and handle. Use for drywall to wood studs and all purpose wood fastening. Campbell Twist Chain, NO 200 Chain, 48 ft Length, 12 lb Load Capacity, 0.79 in Material Diameter, 0.4 in Inner Length, 0.16 in Inner Width, Brass Plated Ideal for sprocket wheel, overhead door chains, general utility use. WARNING: DO NOT EXCEED the working load limits for chain or components. DO NOT USE for overhead lifting or hoisting. DO NOT USE if the chain or components are visibly distorted or worn. High tensile strength spring steel wire. Bright zinc plating. Versatile usage. Can be used in farm, truck, auto and home. Replaces cotter pin. Assortment contains: 50 ? S07092300, 20 ? S07092700, 30 ? S07092500, 30 ? S07092400, 10 ? S07090300, 10, - S07092800, 30 ? S070929S0.